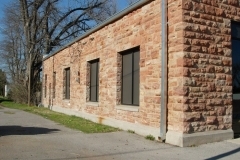 A single story structure, the Lindsay Municipal Building is rectangular (68′ x 142′) and is constructed of heavily rusticated and coursed native sandstone that is pink in color. The masonry is of excellent quality. 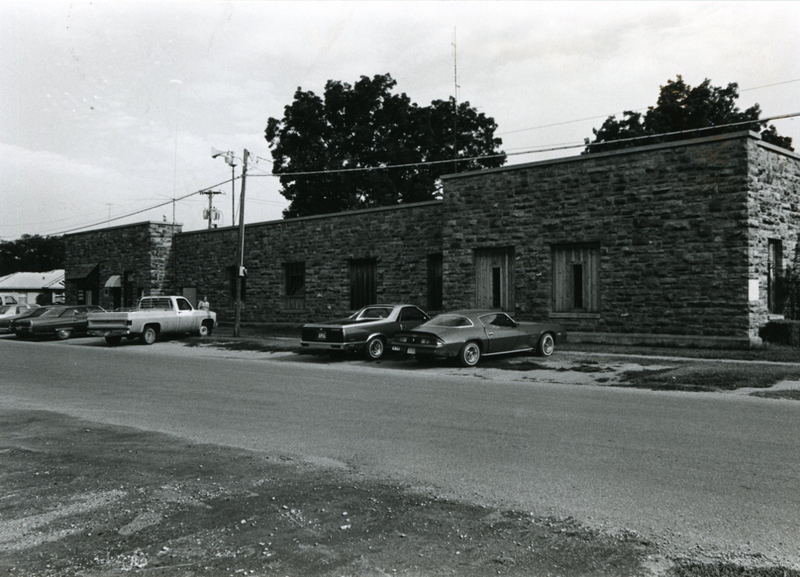 The roof is flat with parapets which are capped with cut limestone. Pilasters at the corners and framing the doorway decorate the front facade, lending to the building an art deco flavor. Although original metal casement windows sitting on pre-formed concrete sills remain in openings in the rear, elsewhere openings have been reduced in size with wood inserts and smaller windows installed. A garage opening at the rear of the building has also been enclosed with wood inserts except for a doorway. 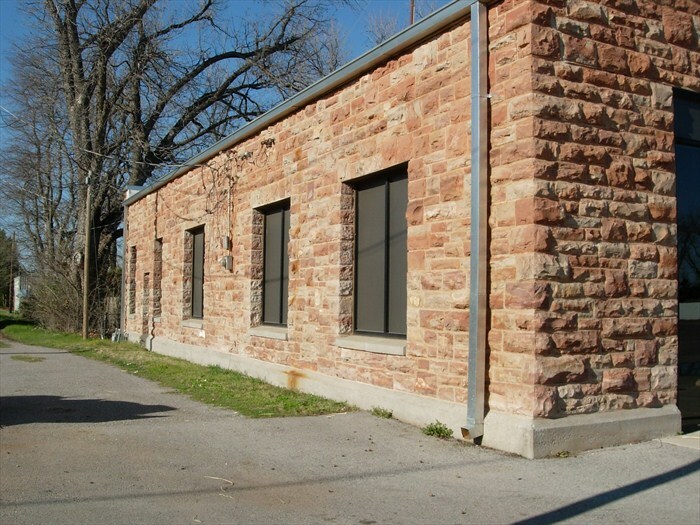 The window and the garage enclosures have not affected the architectural integrity of the building. 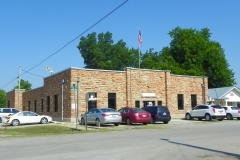 The encompassing design of the municipal building is what makes it significant. 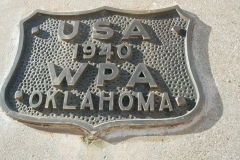 Apparently it had more utility features than any other city hall constructed by the WPA in Oklahoma. 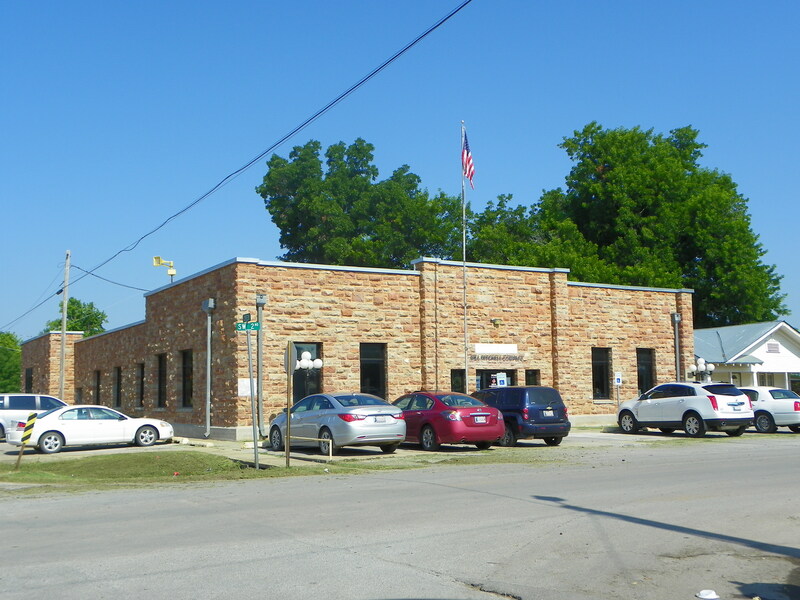 For example, it housed municipal offices, the fire department, a community meeting place, and an entertainment center. Architecturally it is unique within the community in terms of its faint art deco style, its construction materials, its type and its quality of workmanship. 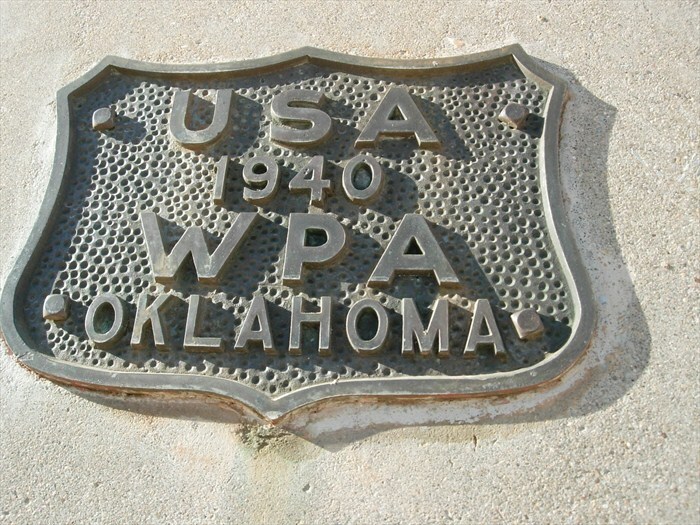 And it is the only WPA-built municipal building in the western two­thirds of Garvin County. 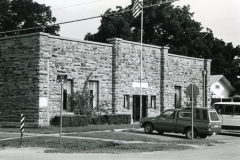 Its importance as a community facility is suggested in its continued use by the city fathers. 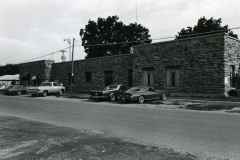 Because Lindsay, an oil producing and broom corn production center, was devastated economically by the depression of the 1930s many workers had been on welfare rolls for months. 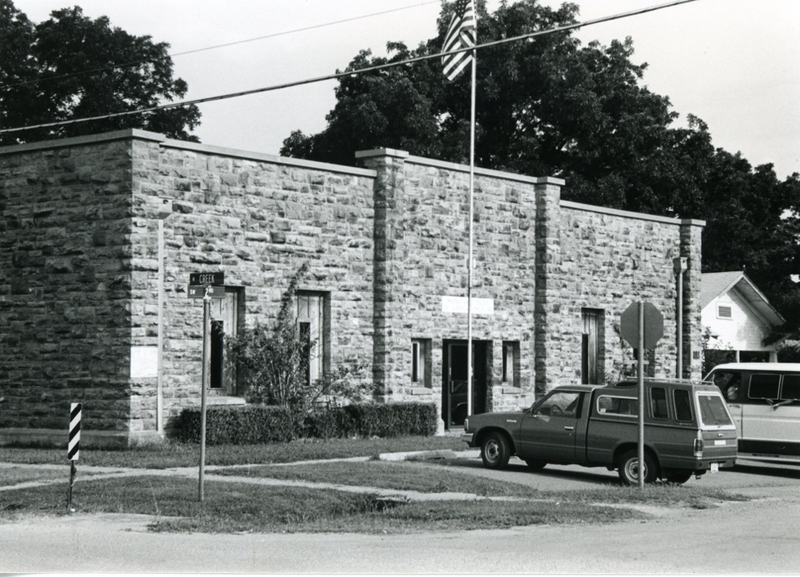 Construction of the municipal building gave those unemployed persons an opportunity to regain their self respect and a measure of economic security.